In today’s competitive retail environment, effective lighting is not only a customer expectation, but essential for achieving ‘the right look’ for a retail outlet. While most retailers recognise the importance of lighting in providing a pleasant shopping and working environment, few merchandisers realise that it’s possible to reduce up to 15 per cent off their energy costs, by installing the right lighting technology. The retail industry often demands bright, flattering lighting to draw customers and maximize sales but this is seldom very energy-efficient. Yet there are substantial savings to be made on both the shop floor and in the back office, with many simple and inexpensive ways to reduce the energy consumption and costs associated with high-impact lighting without compromising profits. Saving energy in a retail business is one of the simplest ways to directly increase margins without the need to grow sales—in fact, a 20 per cent cut in energy costs can represent the same bottom line benefit as a 5 per cent increase in sales, making energy-saving the new profit centre for retail businesses. It’s estimated that a 20 per cent saving in retail energy costs is achievable nationally in the UK, totalling some £340 million per year across the sector. And whilst energy costs may be only a small percentage of turnover, they represent a much larger proportion of profit. By focusing on easily actionable measuresyou’ll be amazed at how simple actions can save energy, cut costs and increase productivity with the quickest payback. Many energy-saving opportunities are within the control of staff and easily achievable at little to no-cost, which is an ideal way of making energy conservation part of a collaborative staff effort. With the vast range of lighting sources, designs and controls now available, modern lighting techniques present abundant energy-saving opportunities, whilst achieving a greatly enhanced level of illumination and visual appeal at minimum cost. Lighting accounts for about 20% of all electricity generated in the UK, but with most current lighting systems still reliant on inefficient light sources, moving to low-energy lighting such as Light Emitting Diodes (LEDs) has never been more critical in energy-saving initiatives. Originally developed for use in electronics, LEDs have become the light source of choice, providing illumination at a fraction of the cost of legacy sources. LEDs have the highest efficacy and lamp life of all lighting types, are easy to control and have no warm-up period. They also provide superior colour and contrast, essential in helping to generate sales, particularly in fashion retail where the visual appearance of merchandise is critical, and in food retailing, where produce needs to look appealing. There are varied other ways to bring your business energy bills down, by introducing energy-efficient best practices into your store without compromising service levels or health and safety concerns. Specific display items that require high light levels will benefit from local task lighting, rather than illuminating the whole store to a high level. Installing an occupancy sensor with a photocell override to give the option of keeping lights off on bright days can achieve savings of up to 50% on lighting costs. These automatically turn lights on when a room is occupied and turn them off after a period of vacancy. Light sensors or ‘photocells’ can be used to dim or turn off artificial lighting when there’s sufficient natural daylight. As daylight hours vary throughout the year, sensors help to provide closer control and thus, substantial savings and often pay back their costs in less than a year. Both types of control are sometimes combined with time switches. Combined, these relatively simple solutions help you save money, increase your staff productivity, and reduce your carbon footprint—all of which enhances your Triple D bottom line. In recent years, utility companies have been hard at work to identify new ways to reduce both the cost and consumption of energy. State-mandated policies such as California’s Building Code, Title 24, have been instrumental for these initiatives. Title 24 mandates that, by 2030, all new nonresidential construction must meet zero net energy (ZNE) requirements, which means a building cannot emit more energy than it produces. Additionally, Title 24 compliance may be required in existing non-residential buildings in the event of certain lighting alterations. Every three years the California Energy Commission (CEC) updates Part 6 of Title 24 in order to continuously reduce energy consumption and stay on track with the state’s ZNE goals. View the free Title 24 compliance webinar here. Atlanta's updated ordinance will benefit everyone. 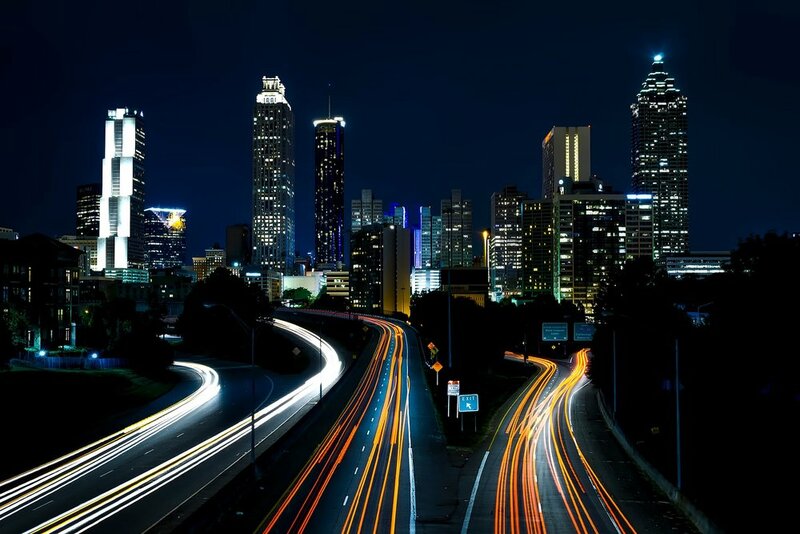 In 2017, Atlanta City Council updated a city ordinance to include requiring LEED certification for new construction, as well as requiring existing buildings of less than 25,000 square feet to recertify to LEED standards once per decade. The new construction directive took effect immediately, but the LEED for Existing Buildings requirement will be phased in over 10 years. This change will not only foster greater energy efficiency in the city, but will also lead to a healthier environment for the community. In 2003, Atlanta City Council approved their first-ever sustainable building guidelines, bringing environmental concern to the forefront of the city building design process. Originally, the guidelines required that all new construction, municipal buildings under 5,000 square feet, or involving major renovations, would be centered in the LEED Silver standard. However, merely meeting LEED Silver guidelines meant that city-owned buildings weren’t made to move through the formal certification process, so there was no way to collect data or evaluate performance. With Atlanta’s population at 6 million—and on track to grow 25 percent in the next 15 years—reassessing this policy to further sustainable growth was a key priority. By encouraging a building team to meet a standard rather than achieve certification, the city offered little incentive to participate and no enforcement. Now, by embedding LEED certification into Atlanta’s green building ordinance, not only has a formal assessment been completed, but open-ended compliance also follows. The collection and analysis of performance data creates an opportunity for further energy and cost savings. On top of updating the ordinance to include LEED for New Construction, existing buildings of less than 25,000 square feet must recertify to LEED standards every 10 years under LEED Operations and Maintenance (LEED O+M). Although USGBC Georgia believes it’s important to verify new construction performance goals with design, certifying existing buildings in the city will significantly reduce wasted energy. By phasing in the LEED O+M requirements, the city gains foresight for budget concerns and capital improvements on older buildings with greater energy demands. Once implemented, LEED O+M certification for Atlanta means proactive management for facilities management and smarter spending when prioritizing upgrades. Additionally, having a sophisticated understanding of a building’s assets leads to annually reduced operations expenses. These changes will continue to push the market for further efficiency in the Southeast. Vision for effective change means working smarter for the city and taxpayers alike. As a rule, healthier buildings create an atmosphere for occupants to thrive in while also lessening environmental impact, giving the community a return on their investment.